The first king of Portugal, Dom Afonso Henriques, laid siege to the Óbidos castle for two months, but the moorish population resisted his attack. One moonless night, a beautiful lady came down from the castle to speak to the king. She told him that, even though she lived in the castle, she was not moorish. And that she had a recurrent dream she had to fulfill. The king was to attack the castle’s main door. At the same time, he would send a small group of soldiers to the back. There, the lady would leave an open door to let them in. Their surprise attach would secure the victory of the Portuguese troops. The king of Portugal feared falling into a trap. But something about the lady’s demeanor convinced him to adopt her plan. The next day, the castle back door was indeed open and the Portuguese conquered Óbidos. The king looked everywhere for the beautiful lady, but she had vanished. 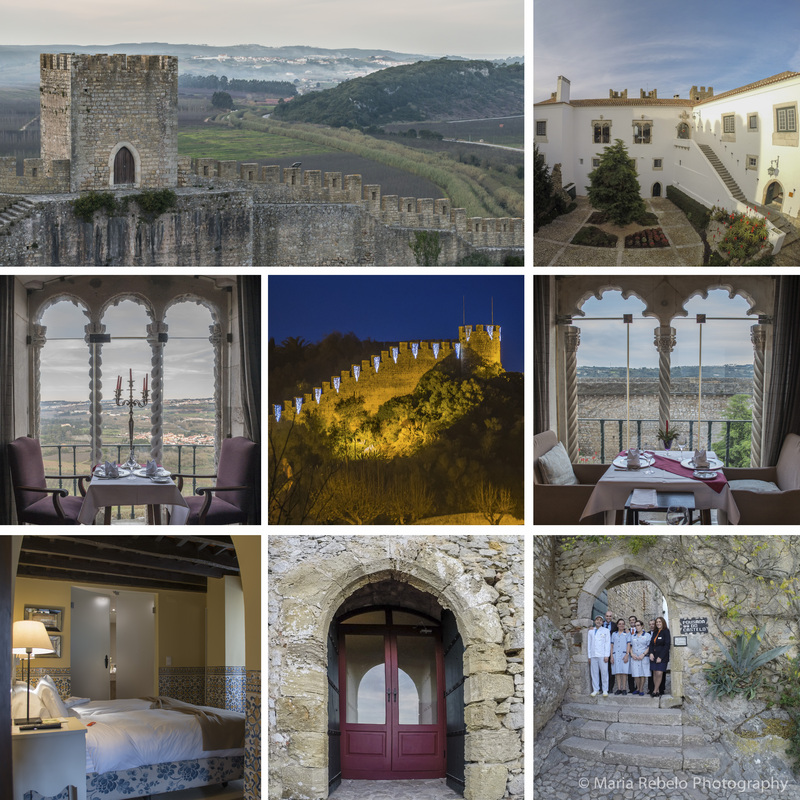 The castle of Óbidos was converted into a beautiful historical hotel. After entering though the front door, the one the king attacked, you find a romantic place with wonderful views of the countryside. One of the best views is just outside a door painted red. It is the door the lady left open. In the dining room two beautiful windows, the sun and moon windows, give us a choice between seeing the sunset and the moonrise. This choice between astral spectacles is one of the many enchanting details that makes a stay at the pousada so memorable. 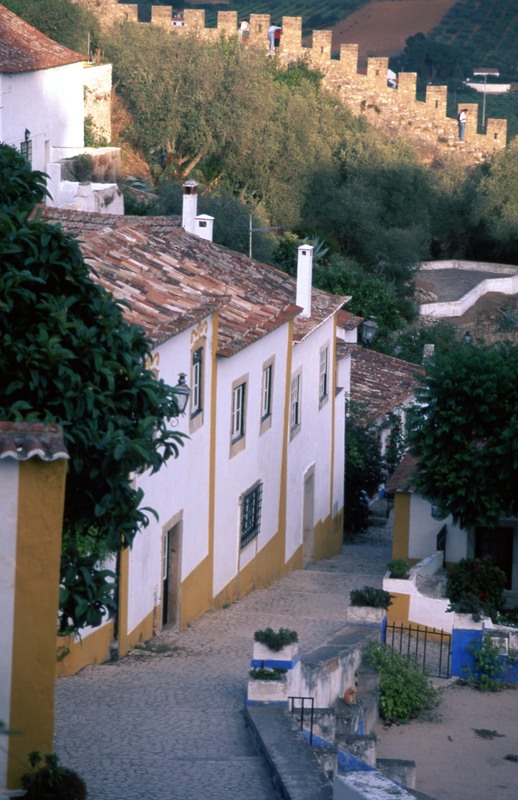 The pousada is the perfect place to stay at Óbidos. After all, who wouldn’t want to be treated like royalty in a medieval town? Click here for the Pousadas’ website and here for more photos of the Óbidos Pousada. “Ginjinha” is a liquor made from sour cherries called “ginjas.” It is produced in various locations, including Alcobaça, Bombarral, and Caldas da Rainha. 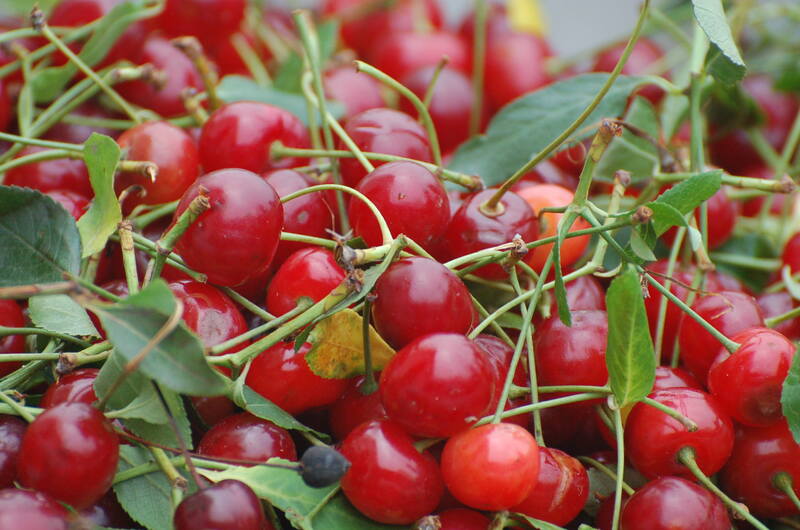 But the most famous ginjinha comes from Óbidos, a region where the Romans planted cherry trees. There are several producers, including FrutÓbidos, Oppidum (the Latin name for Óbidos), and Ibn Errik Rex (the Arab name for the first king of Portugal, D. Afonso Henriques). Each producer has its proprietary, carefully guarded, secret recipe. You won’t be surprised, dear reader, to know that we have our own secret ginjinha recipe. Rumor has it that our ginjinha is made only from ginjas harvested during the new moon and that it uses dew collected at dawn from the petals of wild flowers. We are neither confirming nor denying. Imagine that the year is 1282 and that you are king D. Dinis. What wedding present would you choose to impress your bride, Isabel of Aragon? If you guessed 4), you are correct. King Dinis offered Queen Isabel the town of Óbidos. And, while the gift might seem extravagant, Queen Isabel repaid it many times over by helping the poor and maintaining peace in the realm. Óbidos’ beauty is unique. Inside the castle walls it is easy to imagine we are in the Middle Ages and that we might bump into the “Lidador,” the knight who helped conquer the town in 1148. 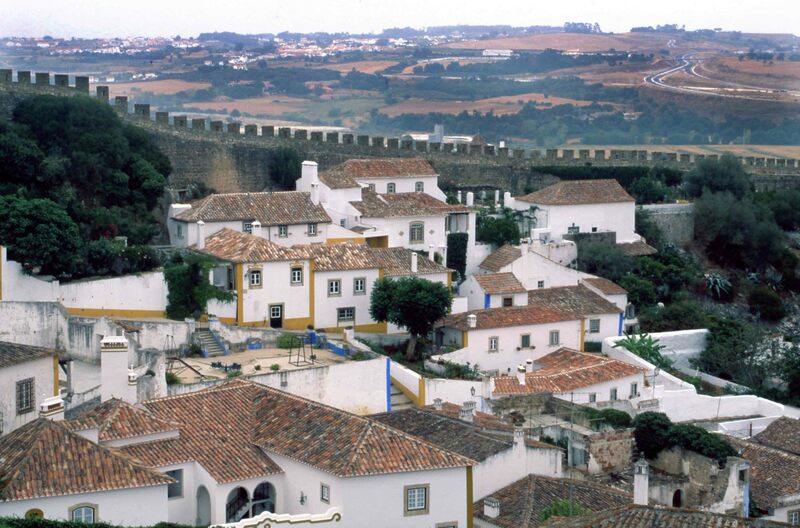 If you cannot afford giving your loved one a medieval town, you can settle for the next best thing: a visit to Óbidos. If you’re in Portugal in July, you might want to visit the Óbidos medieval fair. It features jugglers, jesters, and jousting tournaments, all in the shadow of the majestic Óbidos castle. You can also taste the delicious pork roasted on a spit, a delicacy that, in the Middle Ages, only kings could afford.